Who doesn’t want the very best for their family? Especially when it comes to their health. Maybe you’ve heard or read about in news something called the oral-systemic link and wondered how it affects you or your family’s health. 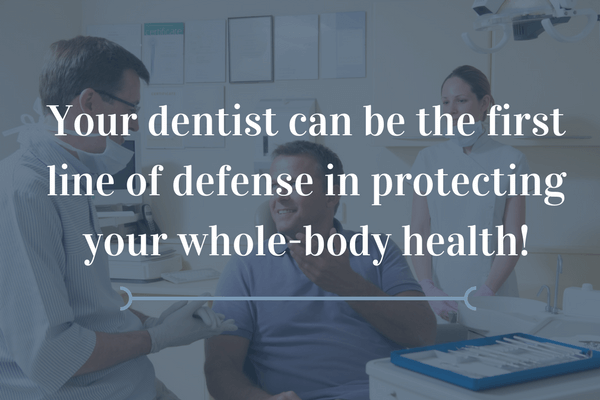 At Davenport & Davenport, we feel it is vital for our patients to have a clear understanding of the oral-systemic link and how comprehensive dentistry for can provide needed protection for the health of your entire family. Comprehensive dentistry focuses on how your oral health can be protected and enhanced through planned and consistent dental treatment. A large part of comprehensive dentistry by our Tucson expert is prevention. Early detection of dental disease often offers the best chance of treatment and prevention of further damage. Drs. David and Deron Davenport can be invaluable assets for detecting potential problems before they become severe. Bleeding gums: this is not a normal occurrence that goes hand-in-hand with tooth brushing. Swollen gums: infected tissues swell or become puffy. The same is true with gum disease. Signs of infection: the presence of pus along the gumline signals significant disease. Don’t ignore it! Shifting teeth: teeth should be rooted solidly in the jawbone. Movement or shifting of the teeth indicates your support system has been compromised. Chronic bad breath: it may signal the presence harmful bacteria buildup that needs professional attention. If you or a family member are experiencing any of the above conditions, it’s crucial that you act immediately. Call our office at (520) 886-2546 or contact us online and we will be happy to set up an appointment to help get your dental health back on track and protect your overall health! 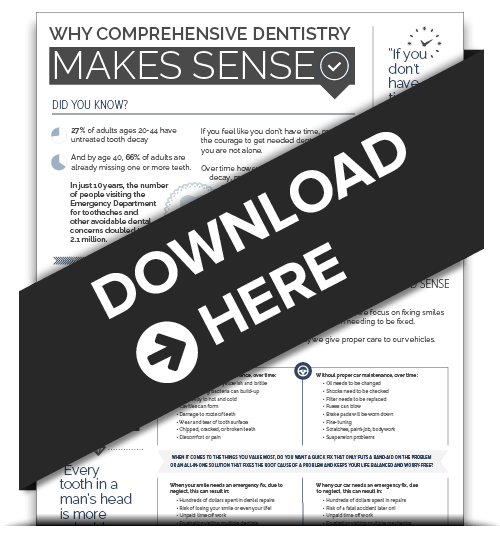 Download our informative and FREE infographic. Learn more about how comprehensive dentistry can help prevent dental problems before they arise. At Davenport & Davenport Dental Practice we have built a reputation based on uncompromising dental excellence and a gentle, friendly demeanor. Our caring, professional staff’s dedication is to provide you with the most personalized extraordinary dental experience that you can imagine. Our highest priorities are your smile, your comfort, and your health!